So, it’s has been a month since Netflix launched in India (also in 130 other countries). And in the last thirty days, I have spent hundreds of hours watching the walking dead. Yes, I know that’s too much and I trying to get it under control. But hey, it’s good. Now, like I always say, if you are doing something quite often, then do it effectively. 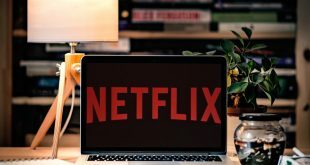 So, here is a complete beginner guide to Netflix, and some tips to use it like a pro. So what exactly is Netflix? Well, Netflix is an internet service that streams movies and tv shows, with a monthly subscription fee. Think of it as a mixture of YouTube and your regular cable TV. Like your cable tv, Netflix shows you movies, but instead of getting it through a cable or dish antenna, you need to have a decent internet connection to watch it. So in simple words, Netflix is an ad-free YouTube which offers movies and tv shows for a monthly subscription fee. Another major difference is — Netflix original series. These are the tv shows like Orange is the New Black or House of cards etc, which are only available on Netflix. But, how come it’s so popular now? 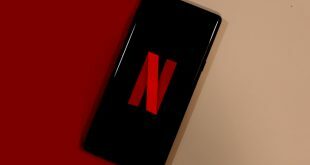 Netflix has been in the market for a decade now, but earlier they were only available in few countries — like the US, Canada, UK, and Australia, etc. But on Jan 2016, they expand their service to the entire world, except for the countries like the North Korea, China, and Syria. And this is why you are hearing about it a lot. The sign up is pretty simple and takes only two minutes. Go to their official website and create a new account. Basically, you will have to enter your name, email address, and credit/debit card details. And that’s it. The first month is free, and after that, you will charge according to your plan i.e. around $8, $10, $12 per month for regular, HD and ultra HD respectively. Now, these prices are a rough estimation. But in this Reddit thread, people from different countries have reported similar price structure. So, it’s safe that almost everyone is paying similar prices for Netflix. Note: You might see a soft charge of 1$ once you sign up. But, they will return it in a week or so. And yes, you can cancel anytime in the first month and you won’t charge a penny. So, go ahead and give it a try. I’m sold, but how do you watch Netflix? Well, you can watch Netflix anyway you want. 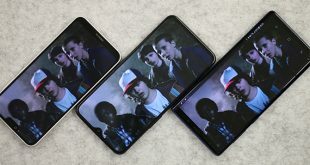 There is Netflix app for — Android, iOS, popular console like Xbox, and smart tv. If you don’t have a smart tv, then you can use a chromecast. On your computer, you can watch Netflix using a web browser. They don’t have a dedicated app for the desktop, but there is no need for that. Once you maximize your browser, you won’t even feel the diff. However, if you want to stream at 1080p, then use IE on Windows or Safari on MAC. The popular browsers like Chrome, Opera and Firefox, etc, can only stream at 720p. And here is why. Now, the difference won’t be much if you are watching it on your laptop but still, it’s something you should about. How to change Netflix playback settings? Netflix has three subscription plan– standard 480p, HD, and Ultra HD. And if your current broadband plan has a data cap, then you need to make sure you switch to lower playback settings. You can do that by going to your account > My profile > settings. Or click this link. While you are at it, also disable the auto play next episode option at the bottom. Or trust me, you won’t be able to do anything productive, especially if you are watching the walking dead. First-hand experience. How to remove movies from Netflix recently watched list? Say, you start watching a movie, just to see what it’s. But since you don’t like it, you moved to next. Now, even if you no intention to watch this movie again, it will still appear on your homepage with the title continue watching. So to delete a particular movie from your watch list, go to Netflix website or open the app > account > my profile > viewing activity. There you see the list of all movies and tv shows you have watched. Click on the small cross sign beside it and that’s it. Or click on this custom link. Is there a way to add IMDB rating on Netflix? Netflix has its own user rating system but its kind of biased. Also, many high rated movies on Netflix were not of my taste. I find IMDB better. Now, there is a workaround for it but it only works on chrome browser on the desktop. Simply install NEnhancer, this small chrome extension will add IMDB and Rotten Tomato rating on the Netflix page. And if a movie has a YouTube trailer, it will also video link. I am using it for the past month and it works really well. How to watch Netflix without Country Restriction? Netflix has a different catalog for every country. Some countries have really good movies and tv shows while others don’t. For instance, in India, Netflix doesn’t even offer one-third of what they are offering in the US. Even though the pricing is similar. Now, I understand this is because of content rights and various other licensing requirements. But still, what if I want to watch the Netflix catalog of other countries. Or say, If I go to another country, how do I watch my own country stuff. Well, there is a simple workaround for that. Netflix determines your location based on your IP address. And if you change your IP address, you change your country. #1 Use a free VPN service like Tunnelbear or Zenmate to change your IP address. You don’t have to turn on the browser extension all the time, once your movie starts playing, turn it OFF and it will still work. This works for both desktop and mobile app but you can’t make it work for chromecast or console like x-box. #2 Smartflix is another rising service, that offers unrestricted Netflix. Apparently, this app is free and available for both Windows and MAC. I have been using it from the day I join Netflix, and never had any problem. And the best part is, Smartflix show you the entire catalog of Netflix and not just one country at a time. #3 The best way to watch Netflix, Hulu or any other country-restricted content is by using service like SmartDNS. Here, you change the DNS setting on your router level., which means Netflix will also work on every device on your network including your chromecast and smart tv. But this comes with a price of $10/month. #1 If you want to watch a particular movie, but it’s not available in your region, then go to fix. Type in the movie name, and it will tell you which country has this title. Next, switch your country using VPN and there you have it. Or even better, use Smartflix, it fetches title from all country. #2 Netflix has categories like comedy, action, horror, etc. Pretty common thing. Right? But do you know there are hundreds of other secret categories as well like –Biographical Documentaries (3652) or Werewolf Horror Movies (75930) etc. These secret genres have a specific code attach to them, and if you add this code by the end of this URL — http://www.netflix.com/browse/genre/____, you will see all the movies that come under it. To find the complete list, go to Netflix codes. There is also a chrome extension, but it’s definitely overkill for me. #3 Netflix also supports all common keyboard shortcut. like spacebar to pause and play video, m to mute the audio, etc. But the one, I use the most is shift+left/right arrow key to fast forward a clip to 20 sec. Comes in handy to skip the intro. #4 If you are not sure what to watch on Netflix, but want to watch something good. then try netflixbestof. Thousands of people are active on this subreddit and you can find some really good underrated stuff. Netflix is defiantly a warm welcome for people, who like to watch the latest TV shows and movies, but can’t do so since their local cable tv don’t have it. It has also reduced piracy of digital content — because now people have a legal way to get it. Yes, I know there were DVD’s but they came late and buying each one of them is damn expensive. Overall, now we can support the content provided while enjoying their show. And I really hope, they add more content in the future. Let me know, what are your thoughts on Netflix. Did you like it? Did you find it too expensive for its content?